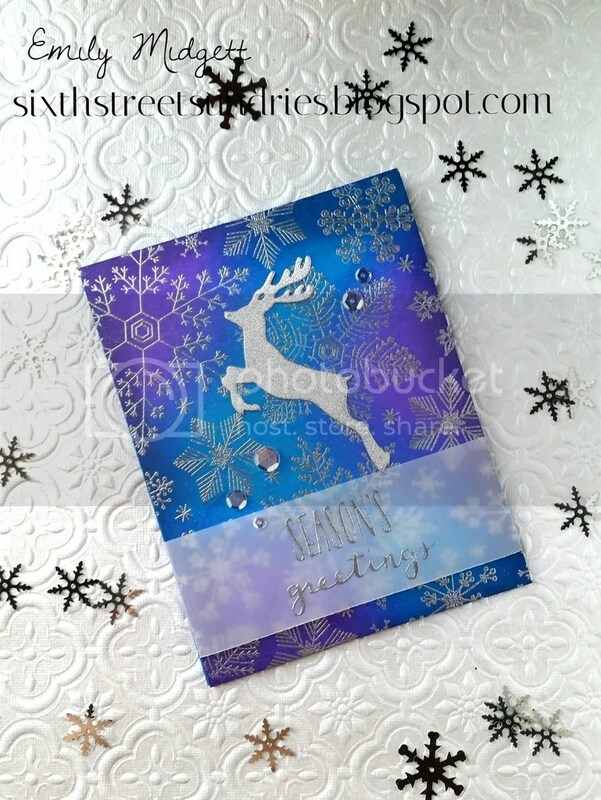 I was able, however, to get in my craft room last night to make this super quick, super flat, super cute Christmas card! I was inspired by the mood board that was posted on the BRI blog yesterday. Granted, my card is a very (very) loose interpretation of the mood board, but the silver, purples, and the lacy images really spoke to me! Since Halloween isn’t really my thing, I decided to turn my interest into a Christmas card! I took a panel of hot press card stock and heat embossed in silver this beautiful Hand Drawn Snowflake background stamp from Hero Arts. Next, I used Wilted Violet, Mermaid Lagoon, Chipped Sapphire, and Concord Grape to blend an Aurora Borealis-esque background with my blending tool. I die cut a silver glitter deer and adhered him to the panel, then heat embossed the sentiment from Hero Arts’s Holiday Petals and Leaves on a strip of vellum. 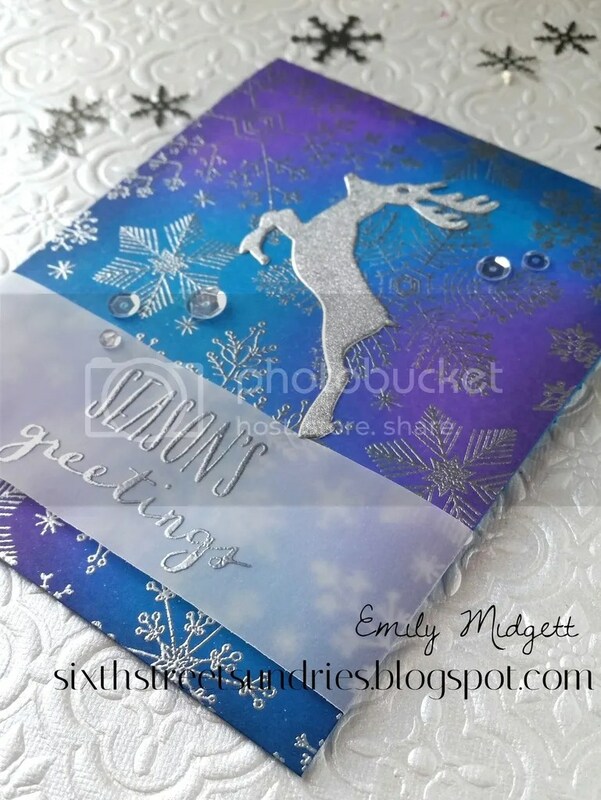 I adhered it to a bright blue card base and added a few sequins to finish it off.